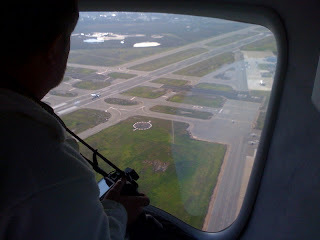 We just did a hover in place and 360 rotation to say hello to the tower and field at Santa Barbara. If all goes well, we'd like to try an operation here on a future SoCal trip. They have a wonderful Spanish Mission revival style main terminal and are right on the gorgeous coast. Watch Whales, Monitor a Sensor, or Play a Game? Long Beach, here we come! Bay Crossings - An "Air-Raising Experience"